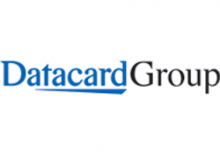 Alto Global Processing: Datacard Group acquires Entrust Inc.
Datacard Group, a provider of secure identification and card personalisation solutions, has acquired Entrust, a provider of secure digital identities and information and a Thoma Bravo LLC portfolio company. The acquisition builds on the strengths of each company to enable its customers and partners to deliver better services in highly connected environments. One Response to Alto Global Processing: Datacard Group acquires Entrust Inc.
pasragraph is genuinely good, every one be able to without difficulty be aware of it, Thanks a lot.